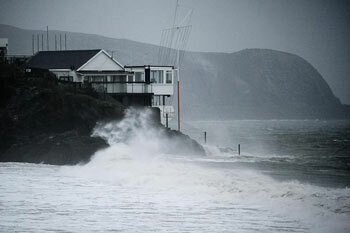 The stormy late autumn and early winter spell has continued in Abersoch over the Christmas holidays. This Boxing Day photo, taken by John is of waves and spray hitting the rocks by SCYC on Abersoch main beach. 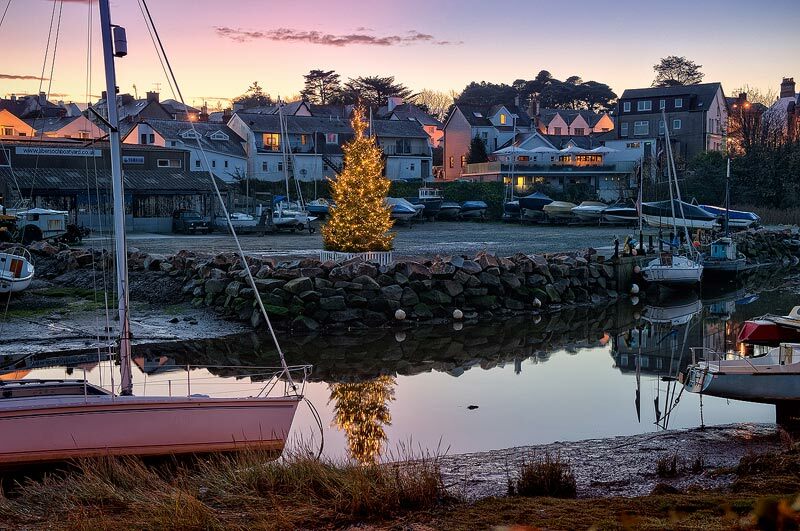 The photo was taken by John Wormald on 26/12/2015 and it was updated on this page on 26/12/2015. 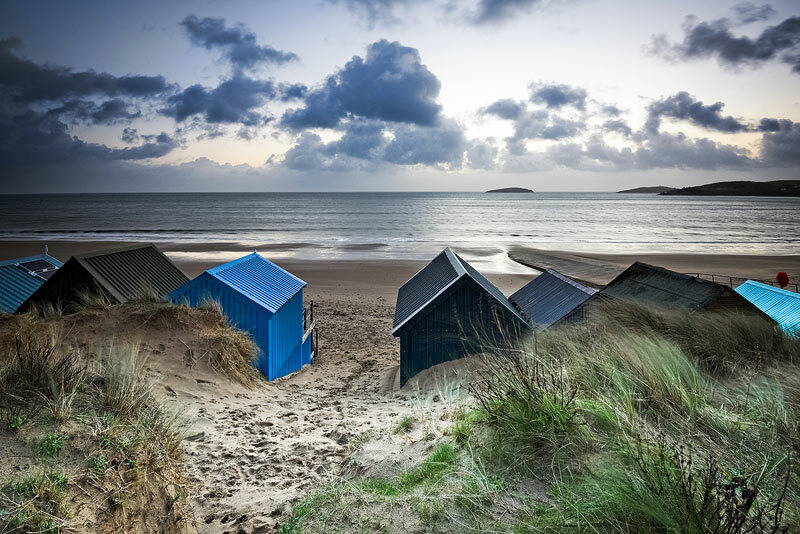 A beautiful morning view across the bay from the beach huts on Abersoch main beach, looking across to St. Tudwal's Islands, during a break in the current spell of very unsettled weather. The photo was taken by John Wormald on 20/12/2015 and it was updated on this page on 20/12/2015. 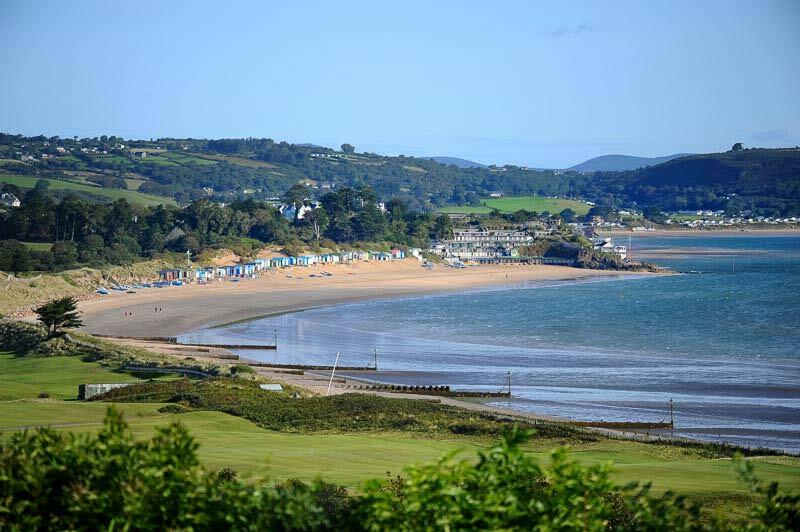 John is back for this week's photo.. a view across Abersoch outer harbour with Llanbedrog headland in the background, with a welcome return of blue skies that have proved to be rather elusive during the last month. The photo was taken on 11/12/2015 and it was updated on this page on 12/12/2015. 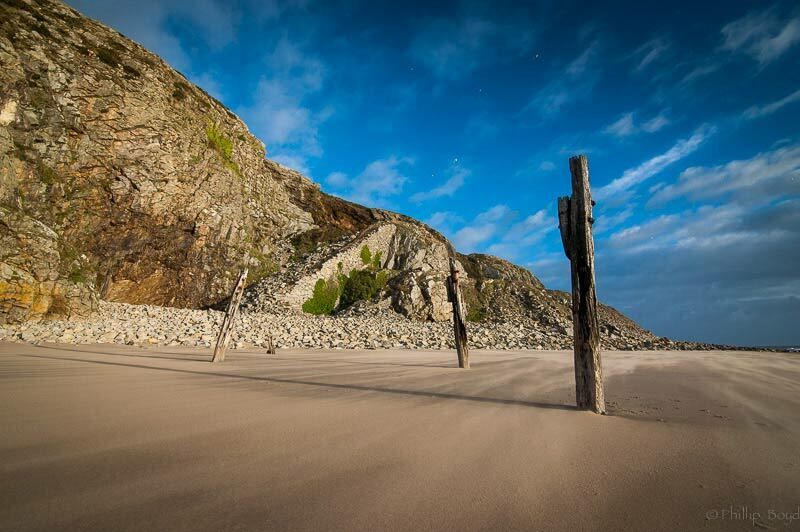 Abersoch masterchef Phill Boyd is standing in for John this week and he managed to capture this shot of the quarry end of the Warren Beach on Friday, during a break in the very unsettled weather. 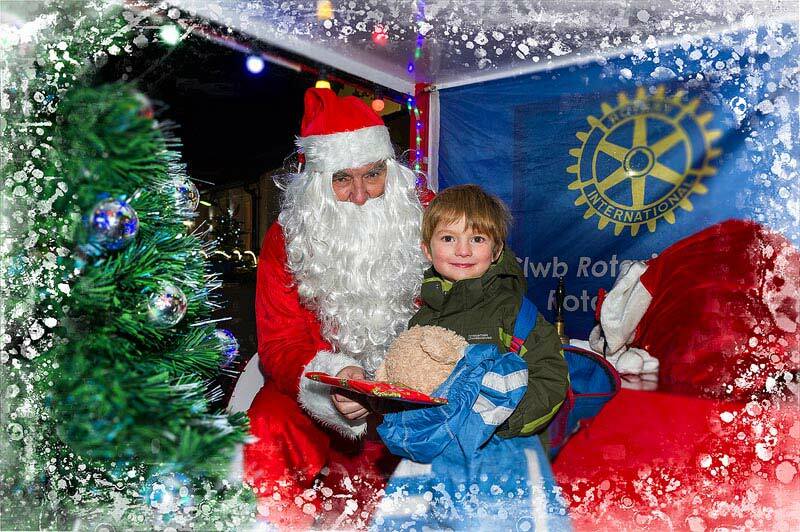 The photo was taken on 04/12/2015 and it was updated on this page on 05/12/2015. 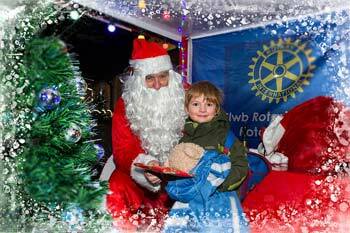 It is Abersoch Christmas Festival launch weekend with Father Christmas arriving in the village on Friday evening by the Abersoch fire engine. 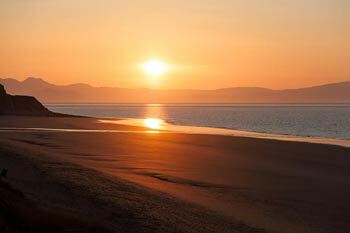 The photo was taken on 27/11/2015 and it was updated on this page on 28/11/2015. 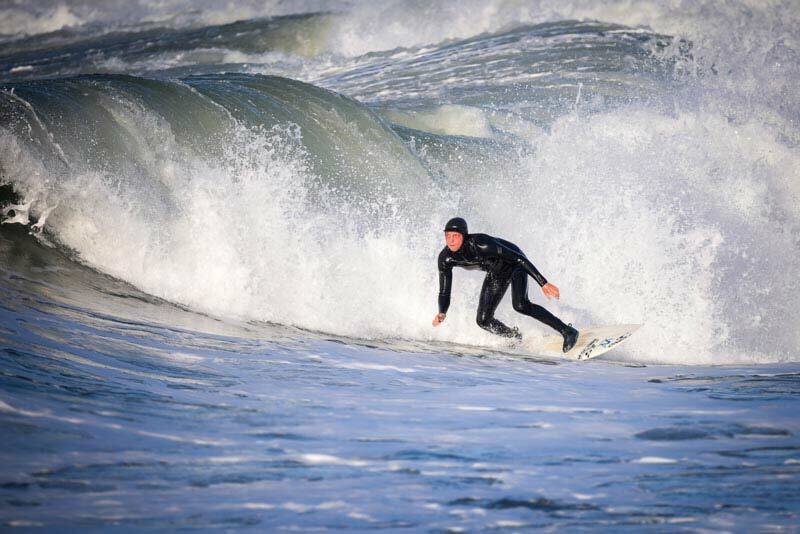 The recent storms has meant that there has been lots of surf in the Abersoch area and John's photo this week is of a surfer taking advantage of some waves and brighter weather at Porth Oer (Whistling Sands). The photo was taken on 18/11/2015 and it was updated on this page on 21/11/2015. This weeks stand in for regular photographer John Wormald is last week's guest Josh's older brother Phill, who is usually to be found creating deliscious meals in the Zinc resaurant in the centre of Abersoch. The spectacular sunset in the photos was captured during a break in the bad weather of the last week. 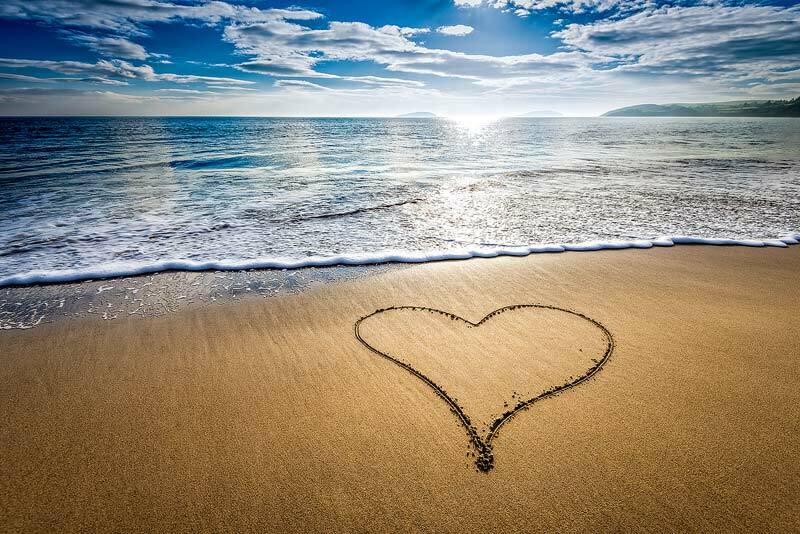 The photo was taken on 11/11/2015 and it was updated on this page on 14/11/2015. 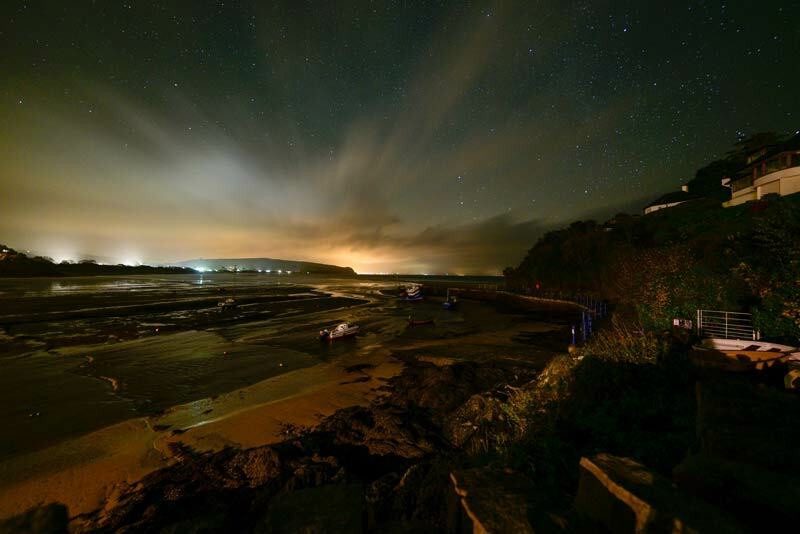 We have a guest photographer for this week's photo with another member of the talented Wormald / Boyd family, Josh Boyd, providing this stunning night shot taken from Abersoch harbour. The photo was taken on 06/11/2015 and it was updated on this page on 08/11/2015. 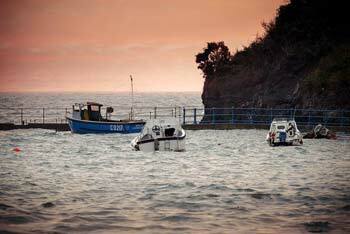 High water early one morning in Abersoch outer harbour. 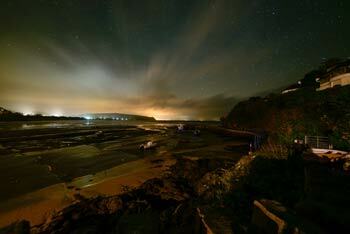 One of several big tides over the last week. 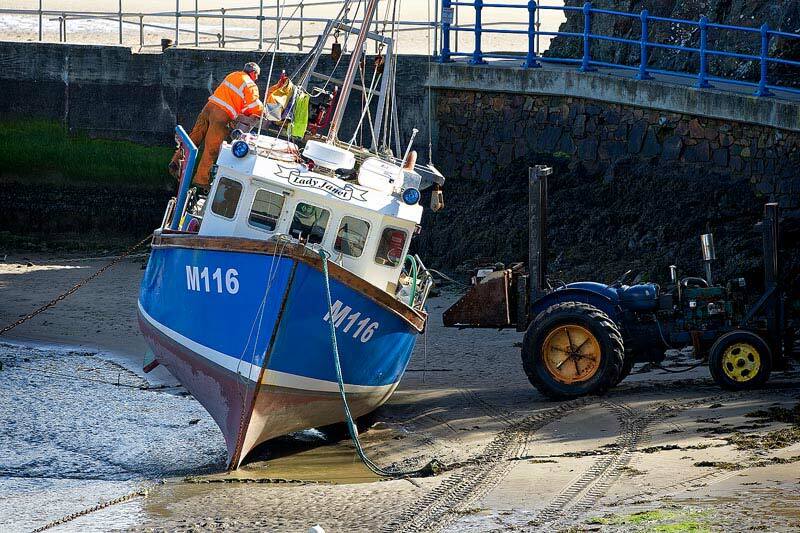 The photo was taken by John on 27/10/2015 and it was updated on this page on 31/10/2015. 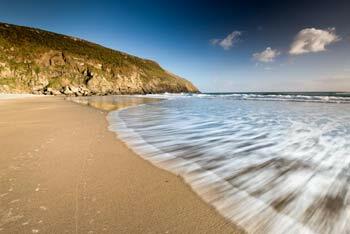 One of hidden gems of the Abersoch area, Porth Ceiriad, captured by John this week on a sunny October day. 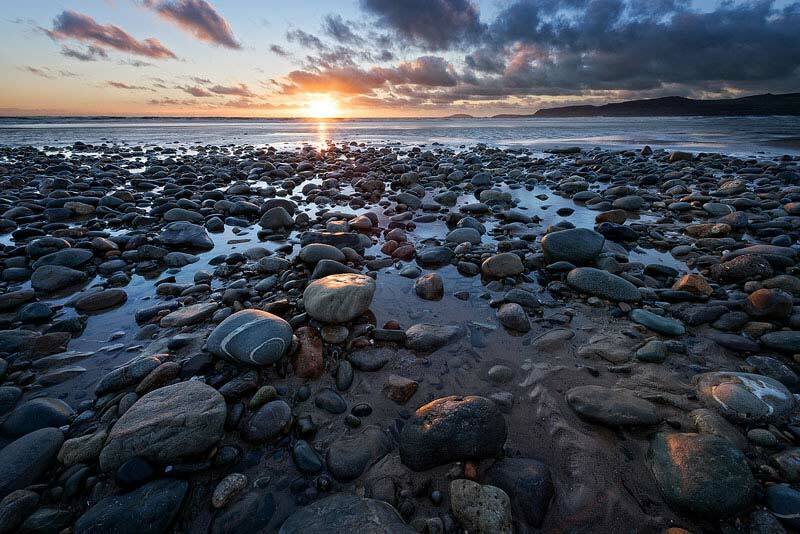 The photo was taken on 22/10/2015 and it was updated on this page on 24/10/2015. 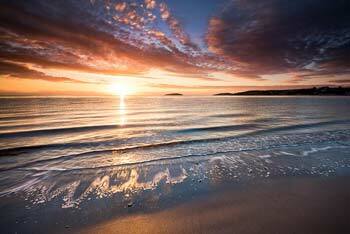 An October sunrise viewed from Abersoch main beach with St. Tudwal's Islands in the distance. 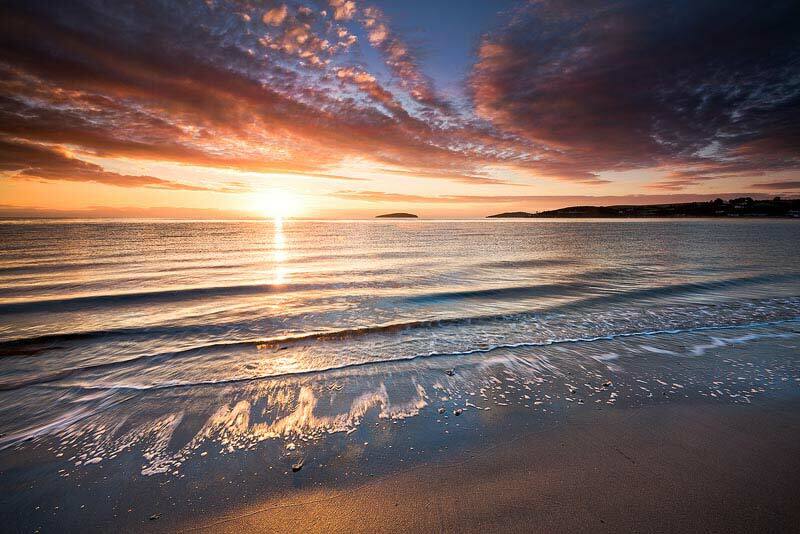 The photo was taken on 15/10/2015 and it was updated on this page on 17/10/2015. 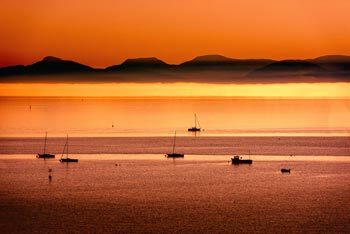 A photo showing the wonderful colours from just before sunrise this morning, taken by John from Abersoch main beach and looking across the bay. 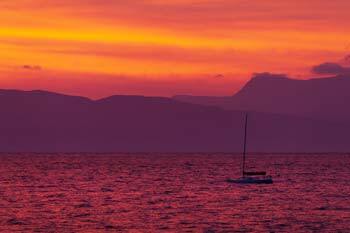 The photo was taken on 10/10/2015 and it was updated on this page on 10/10/2015. 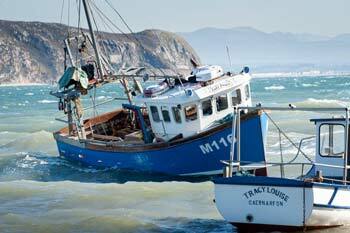 John is away so we have a guest photographer this week in the form of Zinc masterchef, Phill Boyd, who has provided us with this lovely shot of Llech Y Doll on Cilan that was taken during the recent very fine spell of weather. 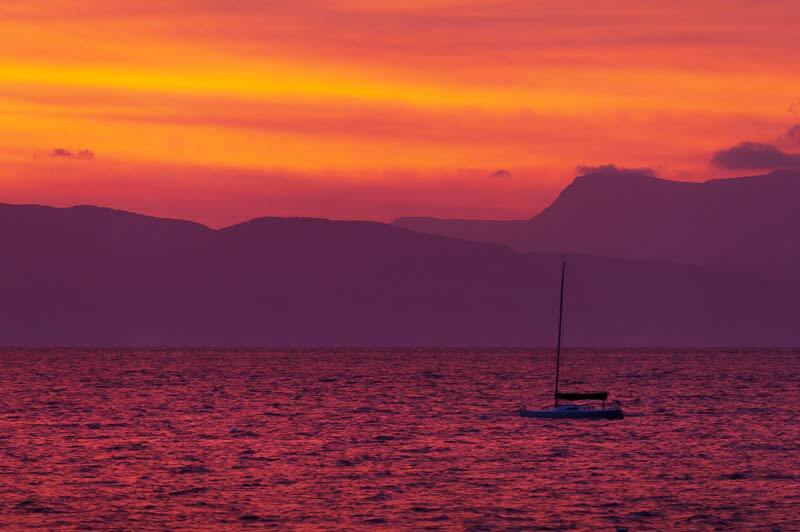 The photo was taken on 30/09/2015 and it was updated on this page on 03/10/2015. 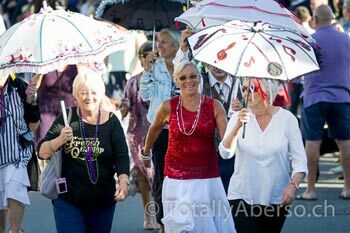 Glorious September weather and some familiar Abersoch faces in the parade for this years Abersoch Jazz Festival Weekend. John took this photo on the 26/09/2015 and it was updated on this page on 27/09/2015. 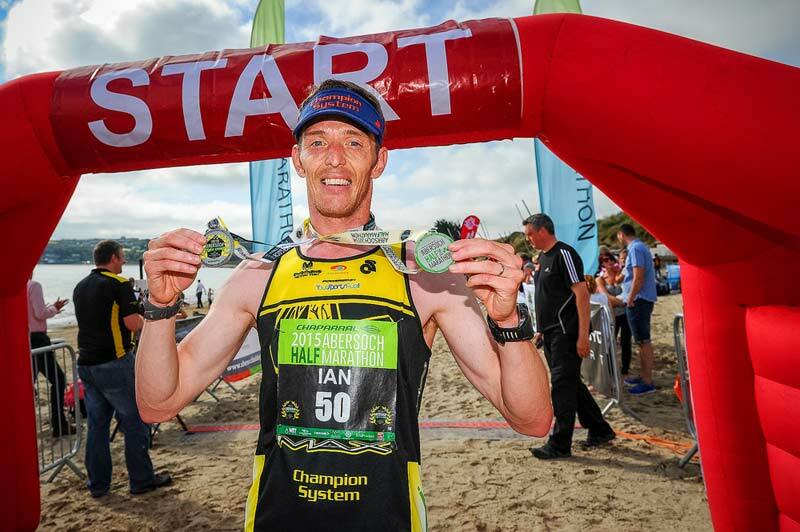 One of the top placed finishers (4th) in this year's Abersoch Half Marathon - Ian Roberts - who was crowned the overall winner of the Abersoch Triple Crown, which included the Abersoch 10K and the Abersoch Sprint Triathlon, which took place over the summer. John took this photo on the 19/09/2015 and it was updated on this page on 20/09/2015. Early morning mist over the marsh and Abersoch Golf Course with the old lifeboat station at Penryn Du in the background. John took this photo on the 08/09/2015 and it was updated on this page on 12/09/2015. 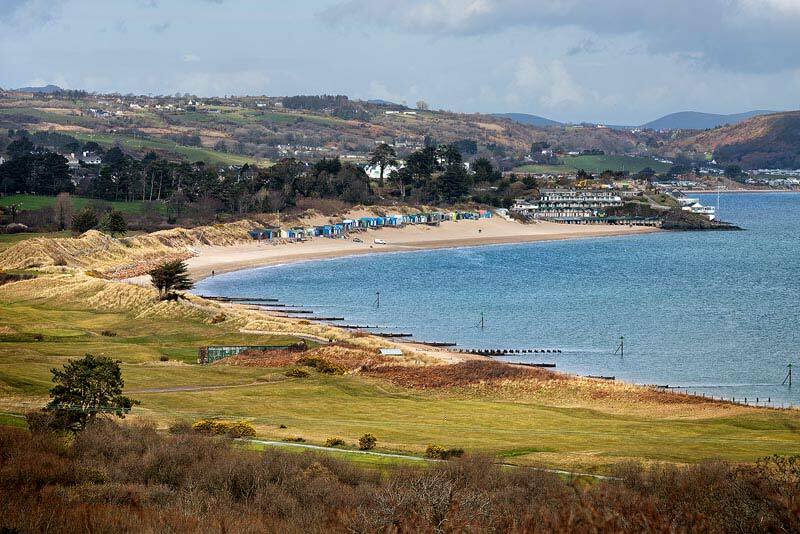 A view of Abersoch main beach taken from Bwlchtocyn with the famous links of Abersoch Golf Course in the foreground and another famous club, SCYC in the distance. John took this photo on the 05/09/2015 and it was updated on this page on 05/09/2015. 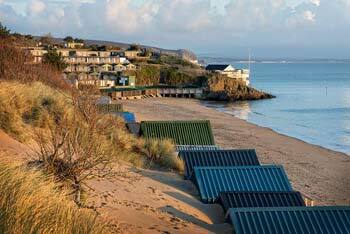 A lovely shot of Abersoch main beach, showing the yacht club, beach huts and Llanbedrog Headland. John took this photo on the 26/08/2015 and it was updated on this page on 31/08/2015. 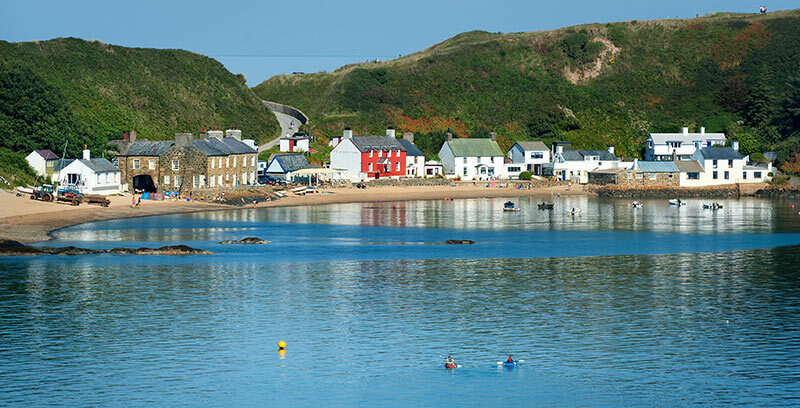 A popular and beautiful spot on the peninsula, just up the road from Abersoch, Porth Dinllaen is home to the famous Ty Coch Inn. 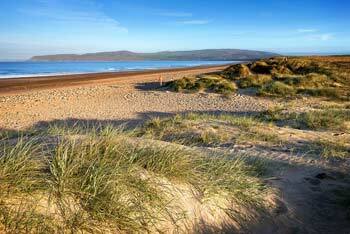 Always worth a visit! John took this photo on the 18/08/2015 and it was updated on this page on 22/08/2015. 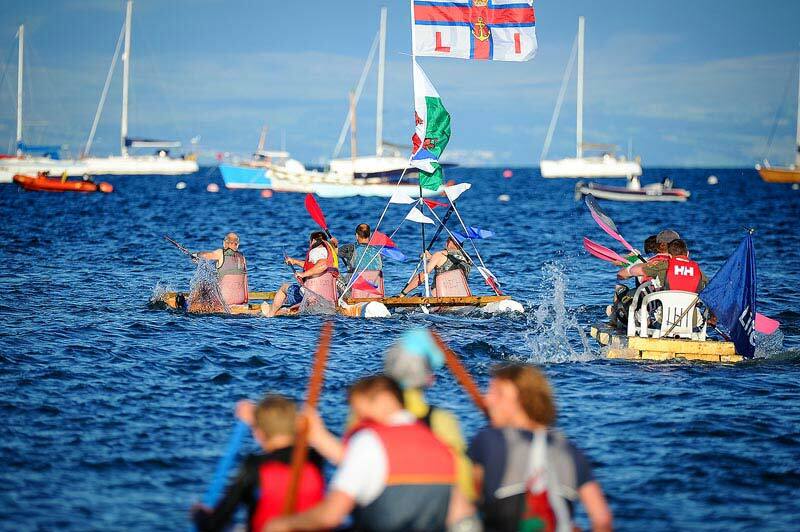 The Annual Abersoch raft race took place on the 13th August as part of the Abersoch Regatta events programme. 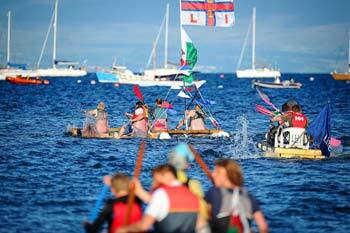 Abersoch Regatta is run by the community and the monies raised goes to local good causes. John took this photo on the 13/08/2015 and it was updated on this page on 15/08/2015. 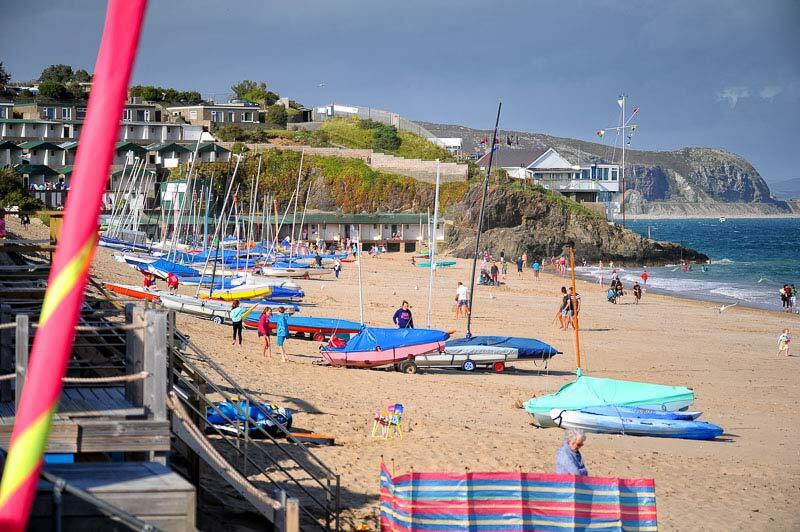 A yacht anchored off the yacht club in Abersoch with Abersoch moorings in the background on a sparkling start to the annual Abersoch Sailing Regatta. 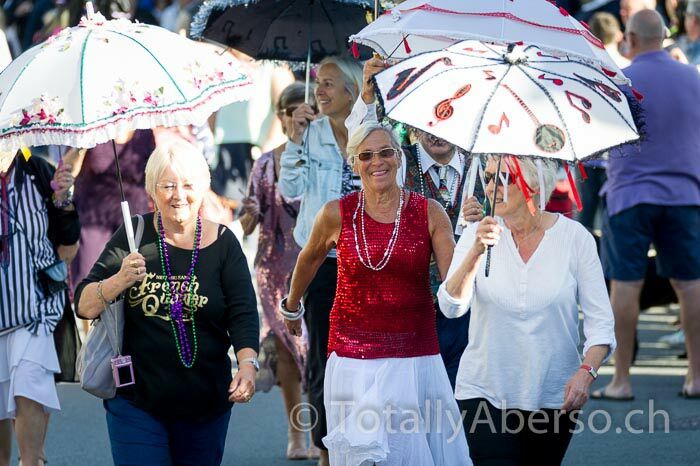 John took this photo on the 08/08/2015 and it was updated on this page on 08/08/2015. 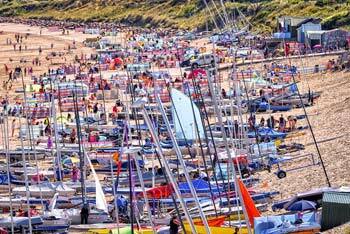 A combination of sunshine and Abersoch Dinghy week meant a rather busy Abersoch main beach on Thursday. 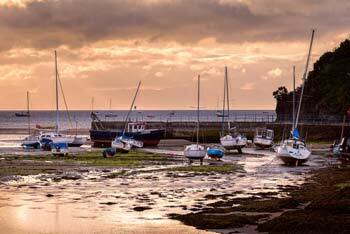 The photo was taken from SCYC, looking towards the Golf slipway. John took this photo on the 30/07/2015 and it was updated on this page on 01/08/2015. 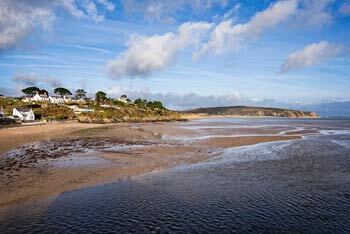 A view of Abersoch outer harbour taken on the morning of Saturday 25th July. John took this photo on the 25/07/2015 and it was updated on this page on 25/07/2015. John took this photo on the 18/07/2015 and it was updated on this page on 19/07/2015. 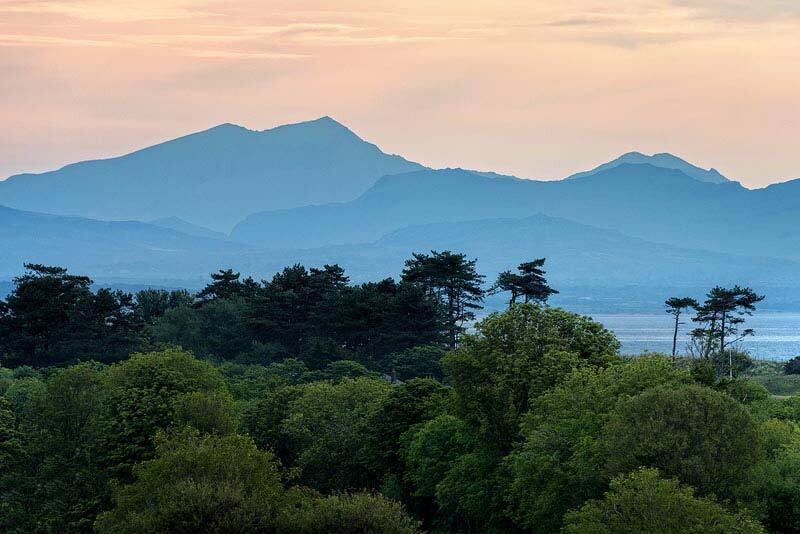 A classic view from Bwlchtocyn, above Abersoch, looking across Abersoch Golf Course towards Llanbedrog headland and Snowdonia. John took this photo on the 09/07/2015 and it was updated on this page on 11/07/2015. Blue skies above the beach huts at the yacht club end of Abersoch main beach. 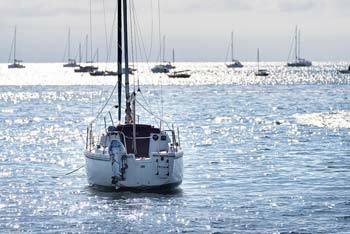 John took this photo on the 03/07/2015 and it was updated on this page on 05/07/2015. 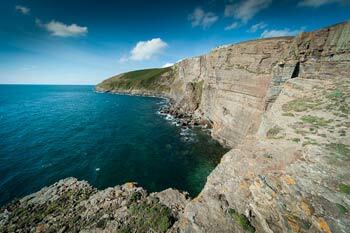 A beautiful panorama shot of the bay, taken from the Warren and looking towards Abersoch and St. Tudwal's Islands. John took this photo on the 23/06/2015 and it was updated on this page on 28/06/2015. 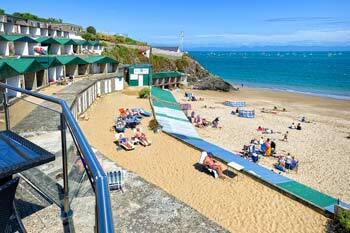 A view of the northern end of Abersoch main beach from the car park above Williams Beach Cafe. The row of little green beach huts near the dinghies are positioned there each season and then moved away for winter. John took this photo on the 20/06/2015 and it was updated on this page on 20/06/2015. 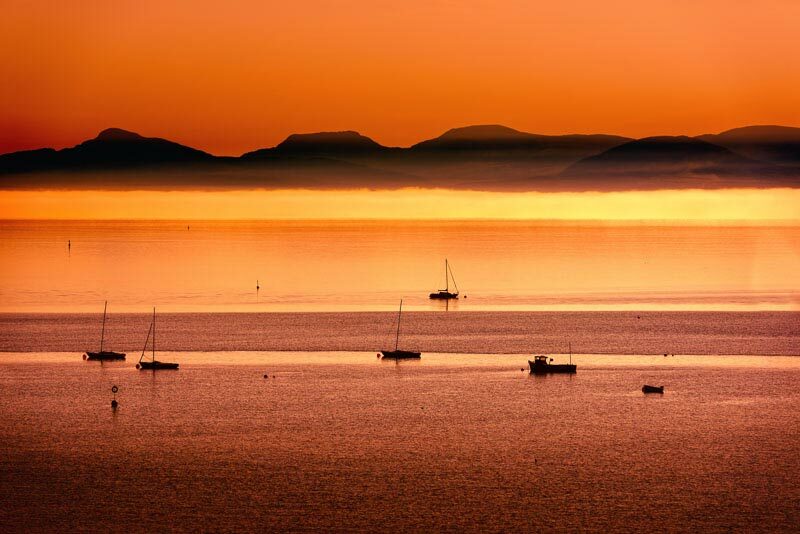 A view from Abersoch looking towards Snowdon, the highest peak in Wales and England. John took this photo on the 12/06/2015 and it was updated on this page on 13/06/2015. 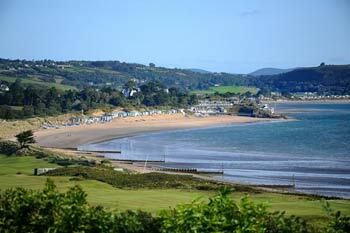 A view from Abersoch to Llanbedrog Head and the Warren Beach on a fine June day. John took this photo on the 04/06/2015 and it was updated on the this page on 06/06/2015. 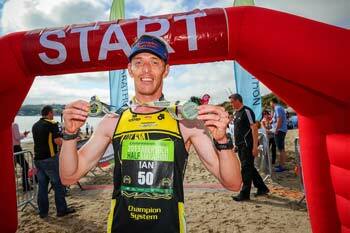 Another sparkling morning in Abersoch with fine weather for the annual 10K and 3K runs. John took this photo on the 30/05/2015 and it was updated on the this page on 31/05/2015. 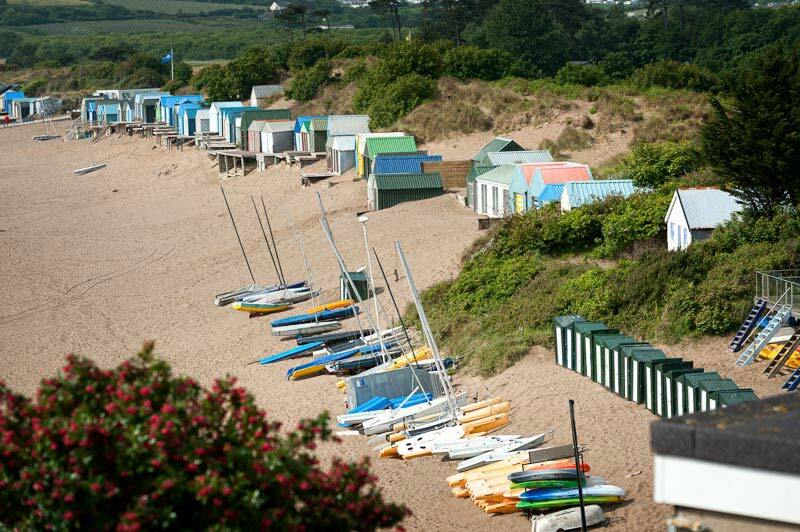 Blue skies to start the Whitsun bank holiday weekend in Abersoch. This early morning photo from John was taken at Porth Neigwl (Hell's Mouth). 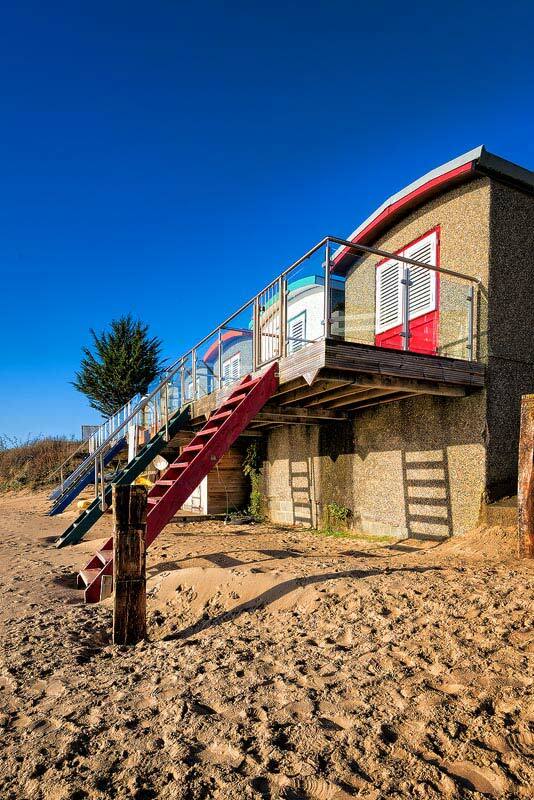 John took this photo on the 23/05/2015 and it was updated on the this page on 23/05/2015. 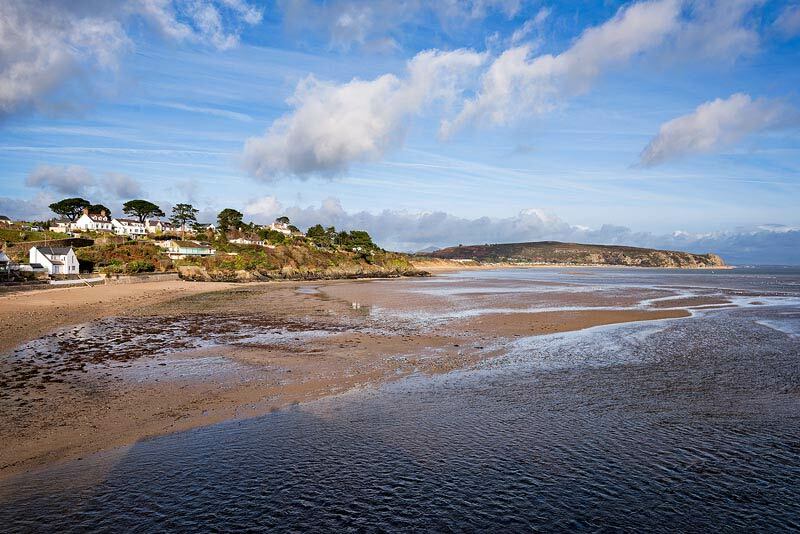 The view from near the old White House hotel site looking towards the outer harbour and Benar Headland on a sparkling Abersoch day. John took this photo on the 15/05/2015 and it was updated on the this page on 16/05/2015. A view towards Abersoch and the St. Tudwal's Islands taken on a windy afternoon from the sand dunes on the Warren Beach. John took this photo on the 10/05/2015 and it was updated on the this page on 11/05/2015. 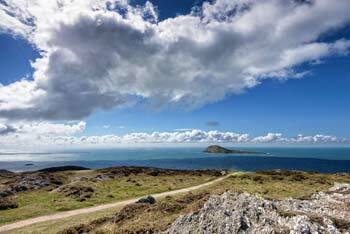 A view towards Ynys Enlli (Bardsey Island) and the infamous Bardsey Sound on a lovely Pen Llyn day. John took this photo on the 30/04/2015 and it was updated on the this page on 02/05/2015. 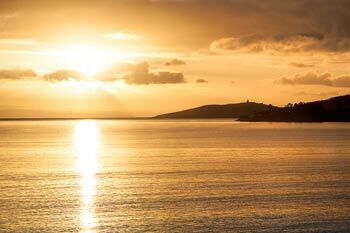 Sunrise over the bay taken form the Warren Beach in Abersoch during another fine spell of April weather. John took this photo on the 22/04/2015 and it was updated on the this page on 25/04/2015. Blue skies and choppy waters brought to Abersoch by an easterly wind. John took this photo on the 18/04/2015 and it was updated on the this page on 18/04/2015. 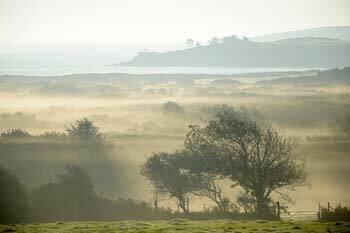 A stunning early morning scene over the bay, with a layer of mist visible out to sea. One of many glorious scenes witnessed during a week of summer-like weather. John took this photo on the 07/04/2015 and it was updated on the this page on 11/04/2015. The "Lady Janet" lying within the Abersoch outer harbour wall. John took this photo on the 31/03/2015 and it was updated on the this page on 03/04/2015. A view across the links of Abersoch Golf Course towards Abersoch main beach. John took this photo on the 27/03/2015 and it was updated on the this page on 28/03/2015. 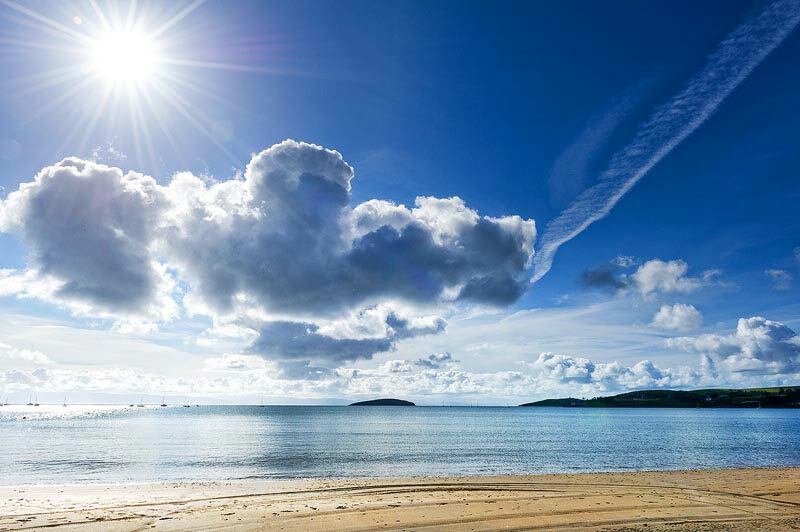 Blue skies above Abersoch main beach on a big spring tide. 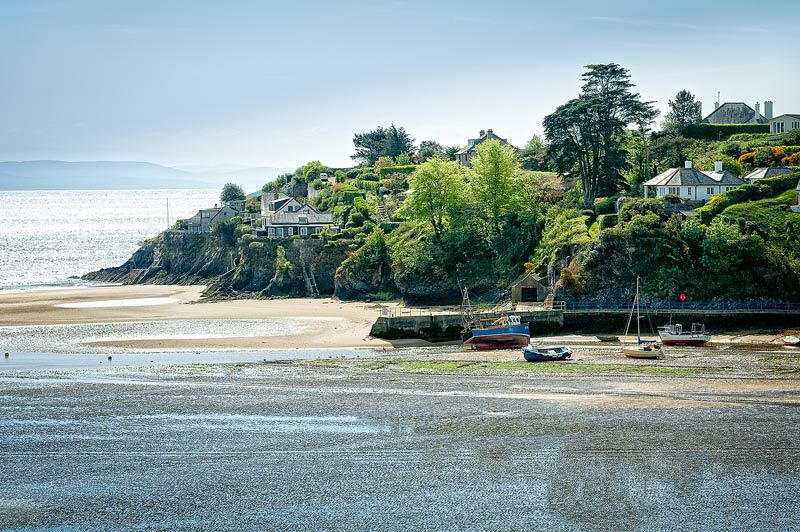 The photo was taken from the slipway on a very fine morning in Abersoch! John took this photo on the 21/03/2015 and it was updated on the this page on 21/03/2015. There is something about an Abersoch blue sky!!! A crystal clear blue sky over some of the beach huts on Abersoch main beach. 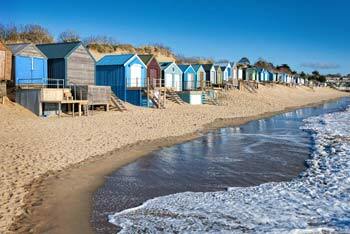 More of the same please for summer 2015! John took this photo on the 10/03/2015 and it was updated on the this page on 14/03/2015. 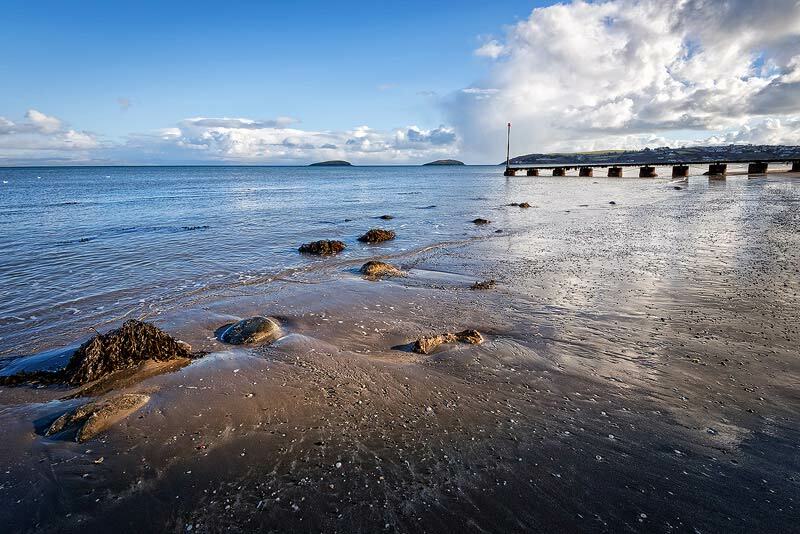 The view down the Warren Beach in Abersoch, with Llanbedrog Headland in the background, taken on a sunny March afternoon. 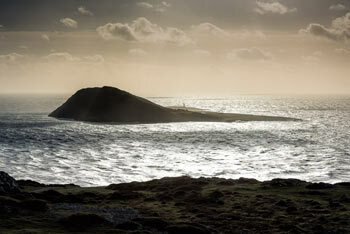 The Warren site re-opened for the season on the 1st March. John took this photo on the 04/03/2015 and it was updated on the this page on 07/03/2015. 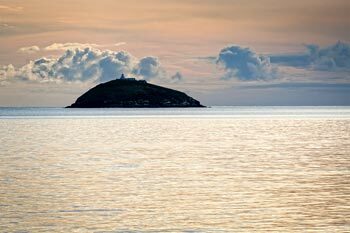 A lovely Abersoch view across the bay towards St. Tudwal's Islands with the SCYC jetty in view on the right. 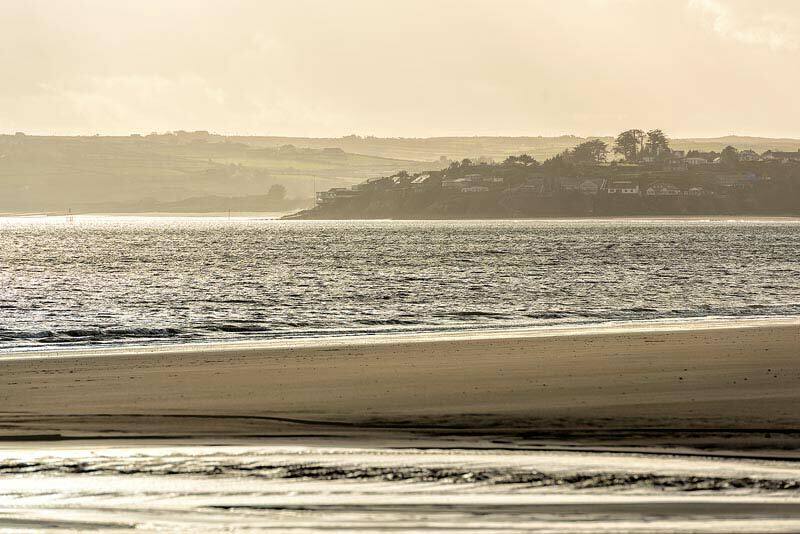 John took this photo on the 24/02/2015 and it was updated on the this page on 28/02/2015. 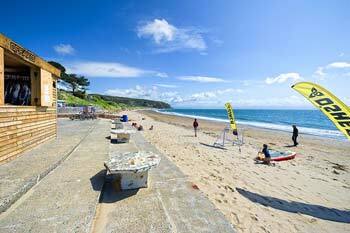 The well loved "corner" of Abersoch main beach, on a very big tide this weekend. John took this photo on the 21/02/2015 and it was updated on the this page on 22/02/2015. 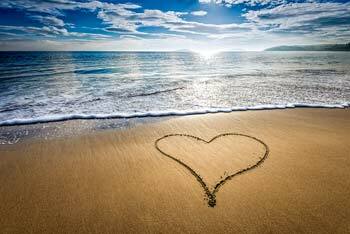 A heart in the sand on Abersoch main beach taken this Valentine's morning by John. 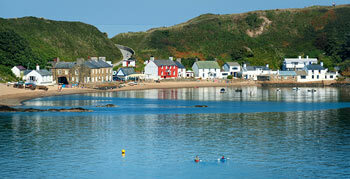 A beautuful morning in Abersoch. John took this photo on the 14/02/2015 and it was updated on the this page on 14/02/2015. A wintry covering for Abersoch main beach. John took this photo on the 02/02/2015 and it was updated on the this page on 07/02/2015. A different island has been photographed this week by John - the wonderful Ynys Enlli / Bardsey Island that sits off the end of Pen Llyn, with the notoriously treacherous waters of Bardey Sound in the foreground. 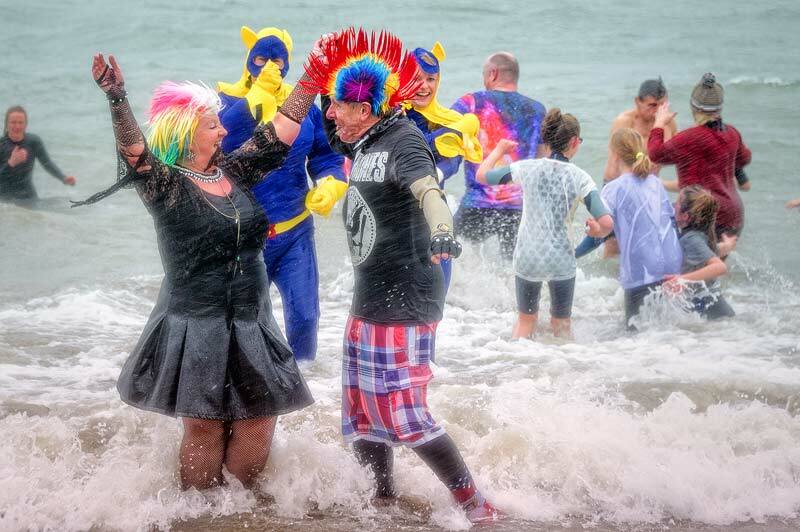 John took this photo on the 28/01/2015 and it was updated on the this page on 30/01/2015. 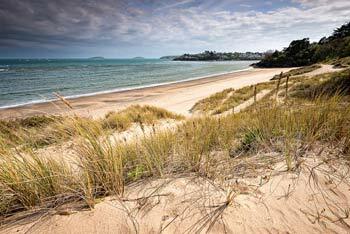 St. Tudwal's West Island and a lovely looking, tranquil bay off the Warren beach, Abersoch. John took this photo during the week beginning 19/01/2015 and it was updated on the this page on 23/01/2015. Stormy Waves at Porth Ceiriad. 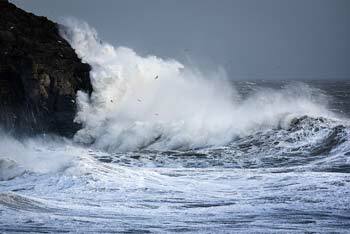 Note the seabirds amongst the spray! 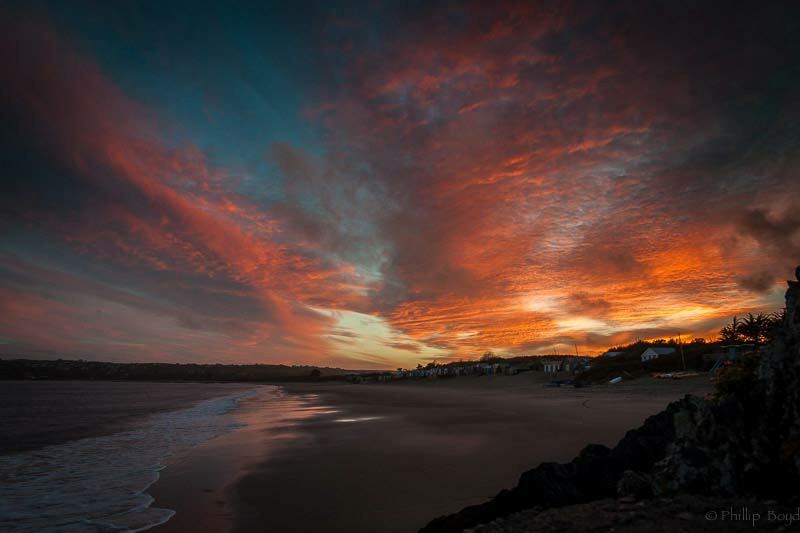 John took this photo on the afternoon of the 15/01/2015 and it was updated on the this page on 17/01/2015. John took this lovely photo on the afternoon of the 06/01/2015 and it was updated on the this page on 10/01/2015. Fun in the sea for the annual Abersoch RNLI Sponsored Sea Dip on Abersoch main beach. 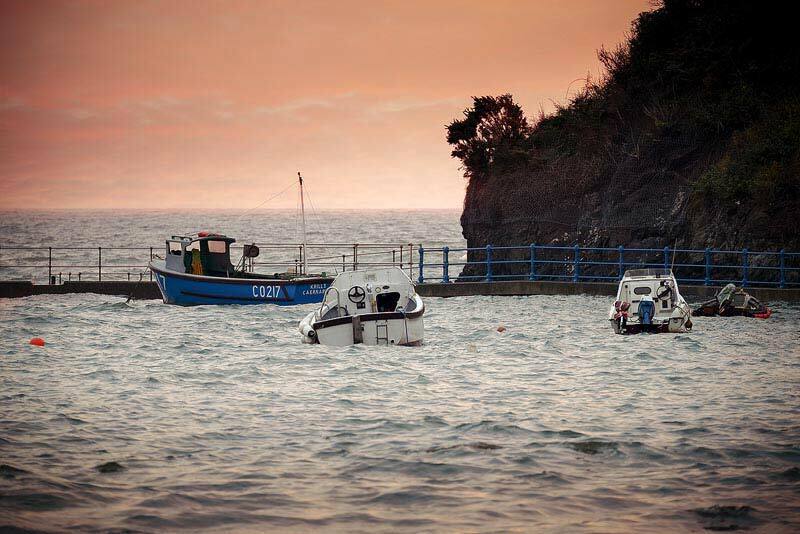 John took this photo on the morning of the 01/01/2015 and it was updated on the this page on 02/01/2015. A view of Abersoch Main Beach on Christmas Day morning. 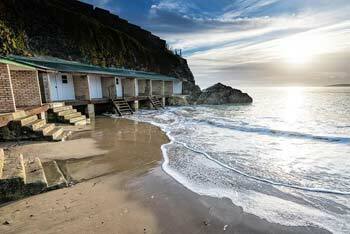 John took this photo on the morning of the 25/12/2014 and it was updated on the this page on 26/12/2014. The view towards Abersoch and Bwlchtocyn from the quarry end of the Warren beach. 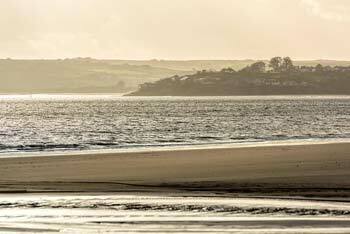 John took this photo on the afternoon of the 19/12/2014 and it was updated on the this page on 20/12/2014. 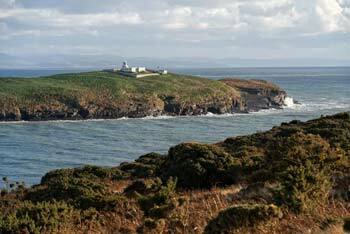 The sound between St. Tudwal's West Island and Wylfa headland looking lumpy on a bright and chilly December day. 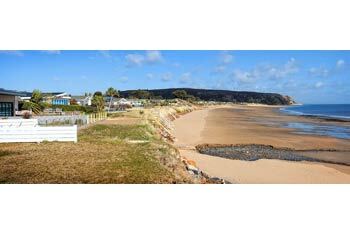 John took this photo on the morning of the 12/12/2014 and it was updated on the this page on 13/12/2014. A glorious sunrise over the bay and St. Tudwal's Islands this morning, taken by John from Abersoch main beach. John took this photo on the morning of the 06/12/2014 and it was updated on the same day. A lovely shot of the Abersoch Christmas Tree in the inner harbour that was funded by some very generous donations by the public. John took this photo on the morning of the 29/11/2014 and it was updated on the same day.